Alan Kelly will referee the 2018 MLS Cup, which takes place on Saturday, December 8 (8pm ET) at Mercedes-Benz Stadium, Atlanta. He will be supported by ARs Ian Anderson and Eric Weisbrod, with Nima Saghafi the fourth official for the showpiece game between Eastern Conference champions, Atlanta United, and Portland Timbers, winners of the Western Conference. Kathryn Nesbitt is assigned as the reserve assistant referee with Chris Penso the VAR and Thomas Supple the AVAR. Kelly was named as the MLS Referee of the Year on Friday and will take charge of his second MLS Cup having previously officiated the 2016 final between Toronto and Seattle Sounders. No-one did more MLS regular season games than Anderson (30) – who was also AR for the Western Conference Semifinal Second Leg – while Weisbrod clocked up 23 games, as well as the 2018 MLS All-Star game at Mercedes-Benz Stadium, plus a further two playoff games. 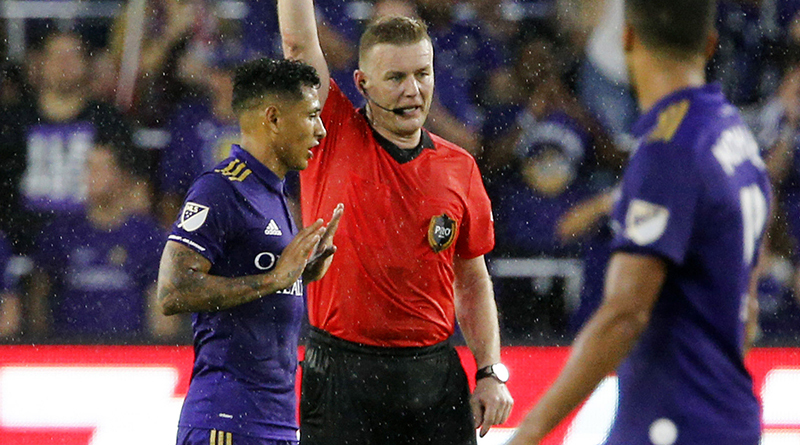 MLS Referee of the Year nominee Saghafi was fourth official at All-Star in August, and in addition to 19 regular season games as center official, he has been fourth official on 21 occasions this season.